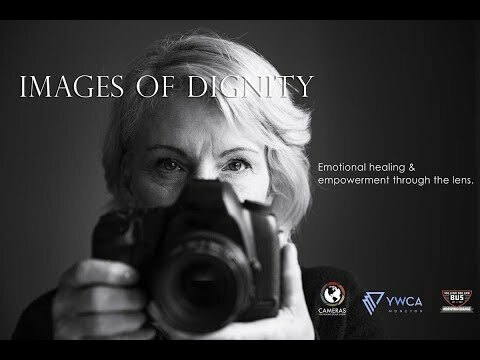 Cameras For Healing, in partnership with YWCA Moncton, are coming together with The Million Dollar Bus to raise $7,500 to launch 'Images of Dignity', an art therapy program that uses the power of photographic arts and creative expression as a healing tool for trauma. Many of the Greater Moncton community's most vulnerable women are living with trauma and struggling as they face issues such as grief, poverty, addiction or mental illness. For many of these women, facing this kind of pain and trauma can leave them isolated and left to struggle alone. Images of Dignity, will run over 3 months, twice per year and will combine life skills development and art therapy to empower local women to share their emotions in an atmosphere of inclusion and belonging. Each woman will be given her own camera and an opportunity to connect into her community in new ways. The program will culminate with a local exhibit, giving participants a platform to share their creativity and stories through the lens. With your help, we can raise the $7,500 needed to fund this program for its entire first 3 month season, giving women who need it a voice and platform for healing. BONUS REWARD: Add a Square to the Million Dollar Bus!! With each donation you will also get to add a square decal to the outside of our bus. This will act as a public show of your support as we tour our bus across Canada in support of different community initiatives. You can upload your logo, a picture of you or your family, or your favourite inspiring quote and we’ll print it out to add to outside our bus. Become a part of our positive movement as we connect all of the faces and businesses of the inspiring donors from all the projects we fundraise for right across Canada. The more you donate, the bigger your square and the more impact you can create for women in Greater Moncton!